We appreciate your feedback about your support experience with SkyVerge, developers of WooCommerce Product Reviews Pro. This helps us maintain high standards on the WooMarketplace, and helps SkyVerge improve. While product reviews are extremely powerful selling tools, they’re typically underutilized by online stores. 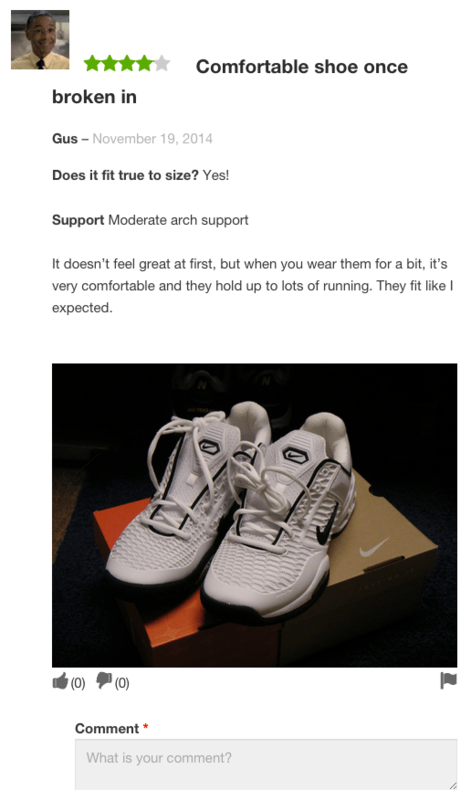 WooCommerce includes some of the best core review options available, yet these still underachieve when compared to what product reviews can do. 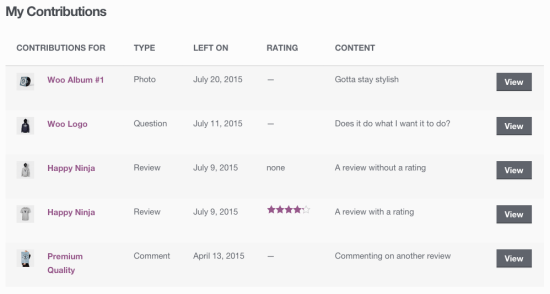 That’s what WooCommerce Product Reviews Pro is for: you can supercharge your product reviews to add Amazon-style reviews and filtering, add even more review capabilities, and provide additional discussion options. Give your customers the review capabilities they expect from shopping at large e-retailers within your own store! You can also optionally enable other discussion contribution types. This will allow you to accept customer questions, photos, and videos for products. Each type can be enabled separately so that you can create the optimal setup for your store, and you can also enable comments on these contributions for discussion or answers. 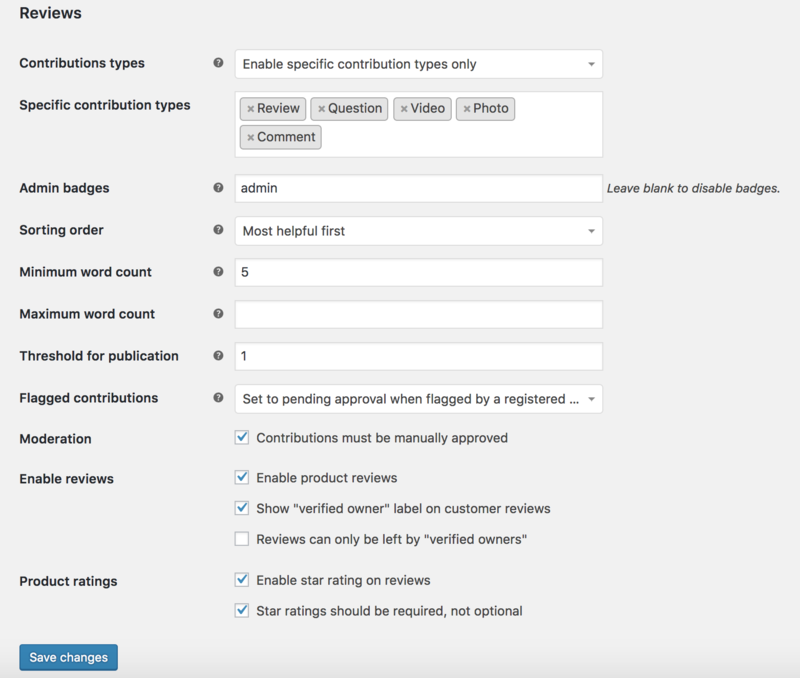 Customers will also be able to sort and filter reviews, and you can opt to show most recent or most helpful contributions first. 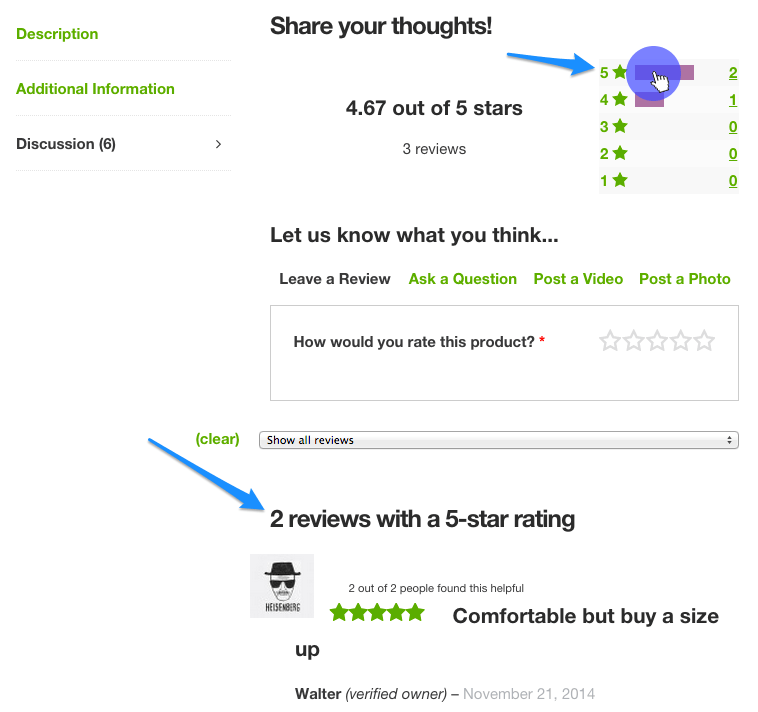 Customers can view both positive and negative reviews, as even negative reviews are helpful for your store 4. Reviews can also help out with your product SEO by providing indexable content that you get for free from your customers reviews 5. Ensures customers don’t leave duplicated reviews — enable updating reviews for a product instead! Your WooCommerce product reviews can now contain more detail than ever, which makes them more useful for your prospective customers. 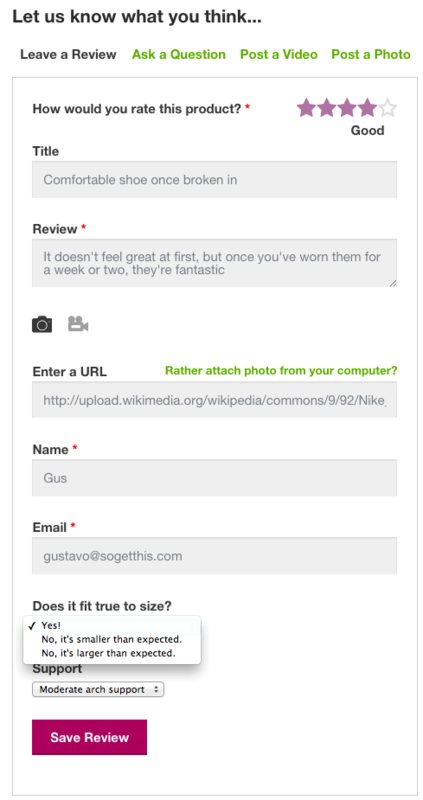 Answers to review qualifiers will be displayed, as well as any attached media for the review. Let you customers help you sell! WooCommerce allows customers to leave more than one review for a product by default. Product Reviews Pro updates this behavior to instead ask your customers to update the existing review instead of adding new reviews each time your customer has feedback. This ensures that customers can leave one review per product (based on the email submitted for the review). 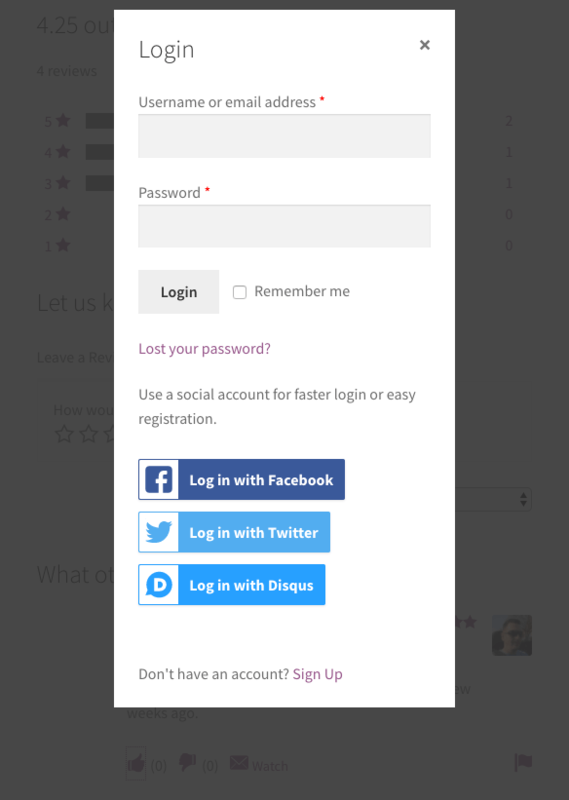 When used with WooCommerce Social Login, buttons can automatically be shown on login modals for customers adding reviews, watching threads, or voting on helpfulness. While customers can choose how to show reviews in your store, your default sorting can ensure that they get the needed information immediately when viewing your product reviews and contributions. WooCommerce core shows most recent reviews first, but sorting by most helpful reviews can be more effective than most recent reviews 6. We allow you to determine whether you’d like to use most helpful or most recent reviews first for your store. Customers are presented with a far more intuitive reviews experience, which helps them research your products and make purchasing decisions. 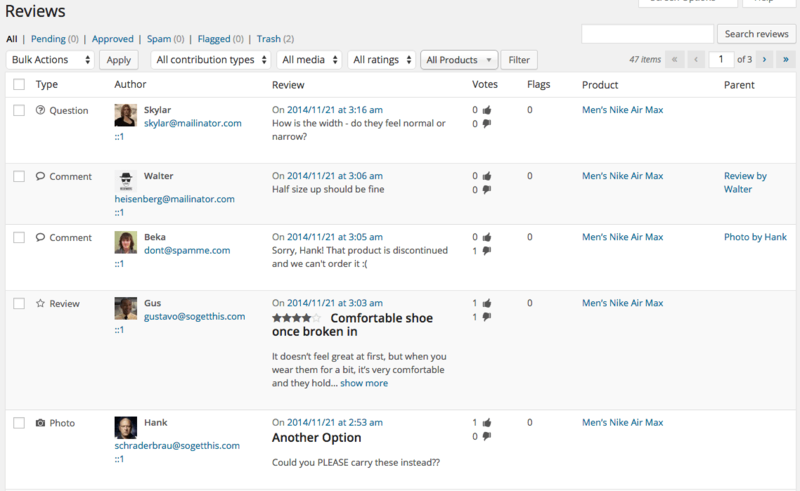 Customers can filter reviews by star rating, as well as sort and filter reviews by almost any criteria. No longer are reviews mixed in with your blog comments! 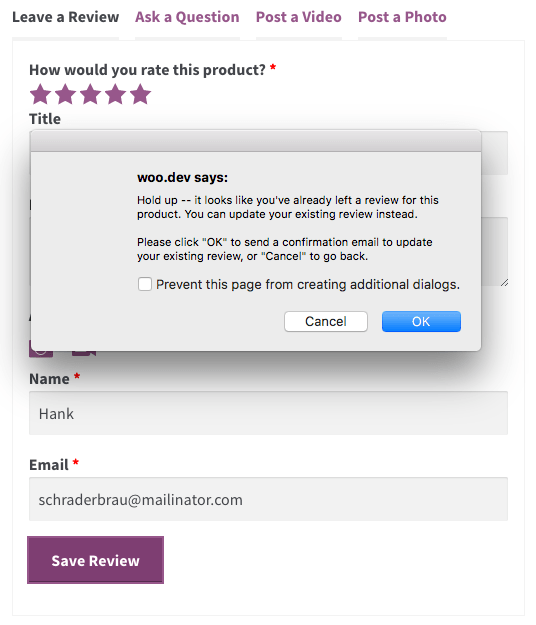 WooCommerce Product Reviews Pro adds a “Reviews” list that lets you view and moderate all product reviews in one place. Your previous reviews will also be available in this list under the “WooCommerce” menu. Customers can see reviews they’ve left at a glance as well. The “My Contributions” list will be added to the My Account page to show customers all reviews, comments, and other contributions they’ve added on your site. WooCommerce does not notify customers of replies to their reviews by default. With Product Reviews Pro, customers may be asking questions or interacting with your staff, and you’ll want them to know when you’ve replied. 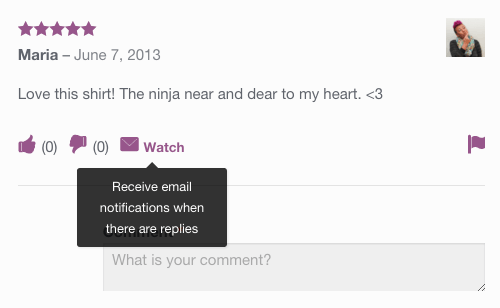 Customers can watch a thread (their own thread or one from another user) to be emailed when a comment is added to it. WooCommerce includes structured data mark up to display your product reviews effectively within search results. Product Reviews Pro improves and adds some structured data for reviews as well to ensure your reviews help your SEO (see more in the documentation). That’s it! Sit back and enjoy professional-level product reviews!